As you all know, we have pets! So, when I was given the opportunity to work with PetSafe for the Collar Safety Awareness Week, October 16-22, I said YES! 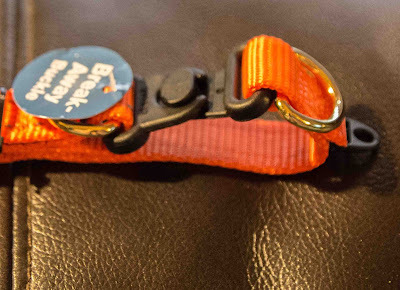 We received three of the PetSafe KeepSafe Break-Away Collars. It is estimated that there are 26,000 collar strangulation cases each year. I was amazed at the number. We generally have a collar on all our dogs, 24/7 even though they pretty much remain only in our home or yard. We have not had this issue come up, but I got to thinking and remembered a horrible accident that occurred when I was in high school. We had a neighbor who raised show dogs (Shelties). She had several champions, and I was often allowed to help her with their care. She had one female, that she was selling to a man from Japan. He was flying over to pick the dog up. The day before he was to arrive, someone accidentally let the dog out their front door. She took off and ran. Several of us got together and searched the woods for several days, calling her name. Finally we gave up, assuming someone had found her and kept her for themselves. A few weeks later someone found the remains of this Sheltie, and her collar was stuck on a branch. Apparently her collar caught and she could not get loose. 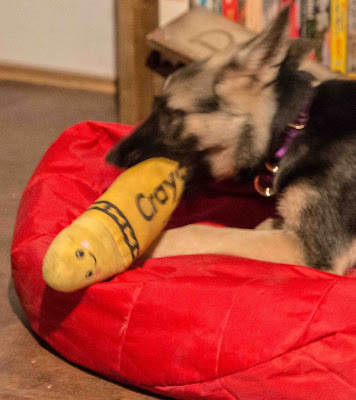 PetSafe has a collar designed to prevent accidents like this. It is their KeepSafe Break-Away Collar. I really like the design. 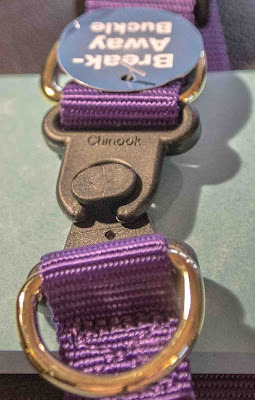 It has the regular sturdy snap buckle, but it also has a break-away buckle that will pop open if to much pressure is put on it. Now, of course the next question is, what about on walks when Honor (our German Shepherd) decides to chase a rabbit or a squirrel? 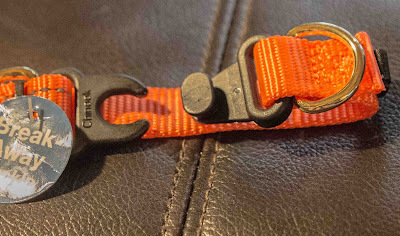 Well, on each side of the break-away clip are two metal loops that you snap your leash through, preventing the clip from breaking away. This is a really great idea! The collar comes in five different colors. You can choose from Black, Orange, Red, Purple or Blue. 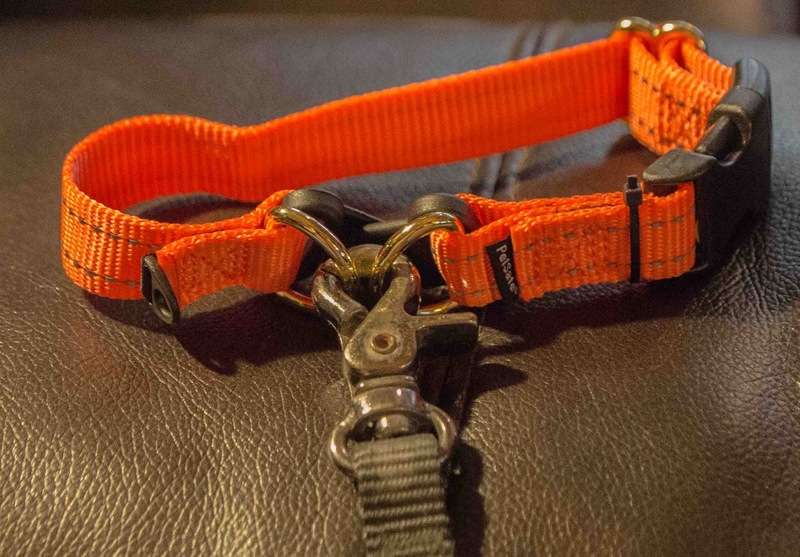 It is available in 5 different adjustable sizes, so it should fit just about any size dog you might have. By using this collar, you can be pretty sure that should your dogs collar snag on a fence, catch on the crate, maybe on your deck, the break-away collar will pop apart allowing you dog to be released. 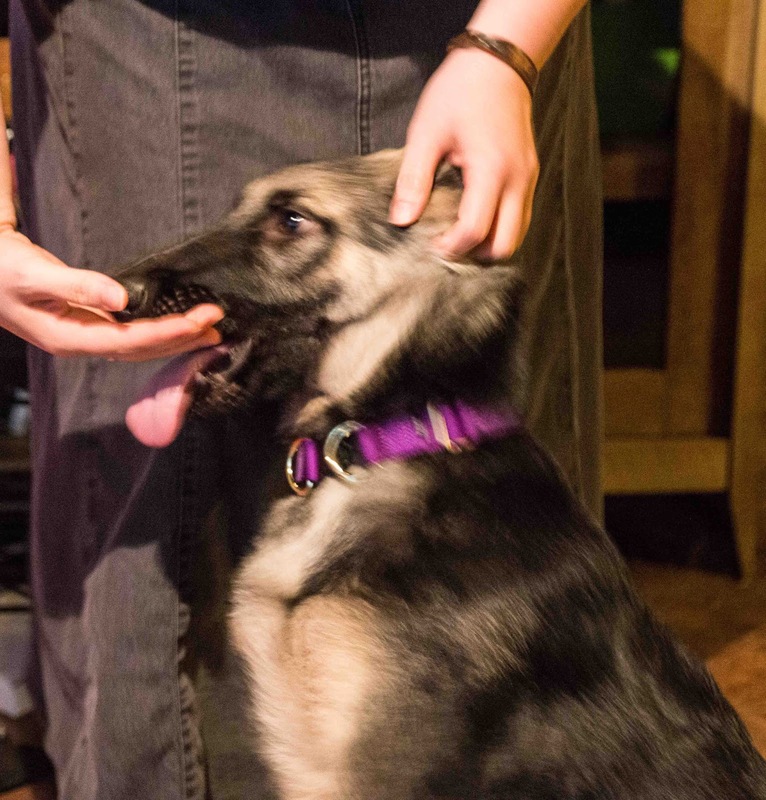 And the collars are reasonably priced too! So don't take a chance on your pet becoming one of the statistics. One neighbor will receive a PetSafe KeepSafe Break-Away Collar for their four legged friend. Enter this giveaway and be sure to share about Collar Safety Awareness Week. I'd love this collar for my dog Ruby. She is very adventurous when she gets outside and has got herself tangled up a few times. This would be for my Tuc. He is pitbull/black lab and he is the biggest baby in the world. We are big hikers and Tuc has been known to chase rabbits, squirrels, and even a moose once (he has never been able to catch anything) and I would hate for him to get stuck if his collar ever get caught on any branches or brush that is in the area. Continue the good work; keep posting more n more n more. Nonni's THINaddictives Dark Chocolate and Almond!